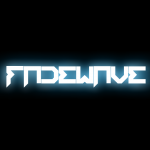 Official Fadewave EDM - Ponyville Live! Hi! I'm Fadewave! I'm from the USA and I love to create music for all the people I know! Whether I mix music or create an original piece, I want to entertain everybody to the best of my ability! Thanks for checking out my stuff! Appreciated!